We often use our bread maker to help with the baking. You just choose one of the bread maker recipes, bung everything into the bowl, and let the bread maker work its magic! 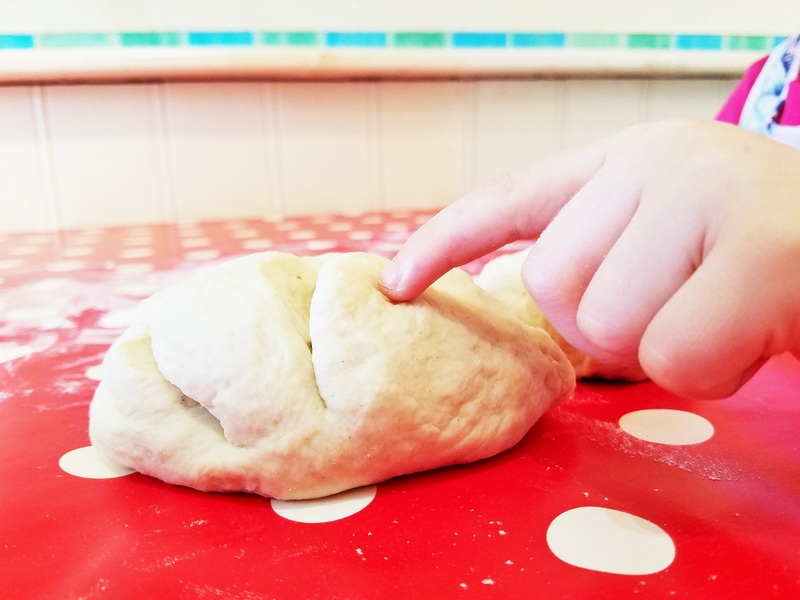 Then once the dough is ready, the kids can do the fun bit of shaping it into whatever creation takes their fancy. It’s basically edible playdough! Haha. 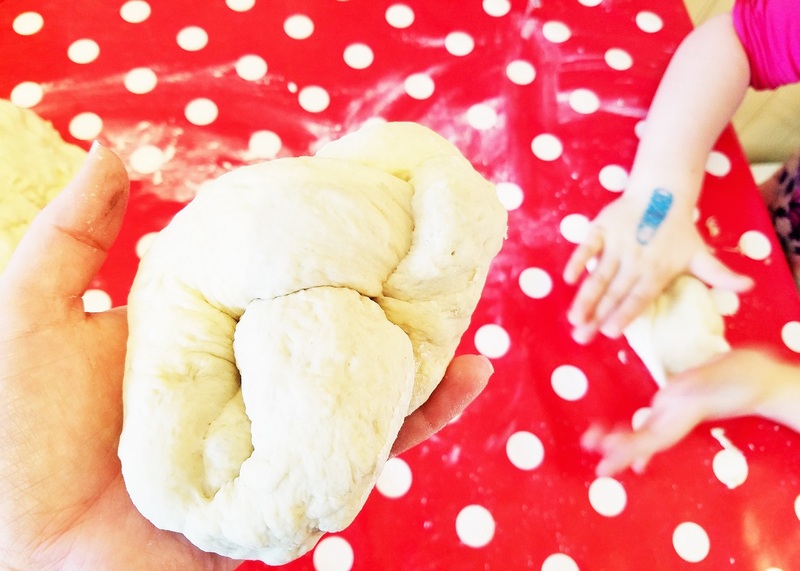 Using a bread maker is a great way to introduce kids to baking. They can help to weigh out all the ingredients and then tip everything in. 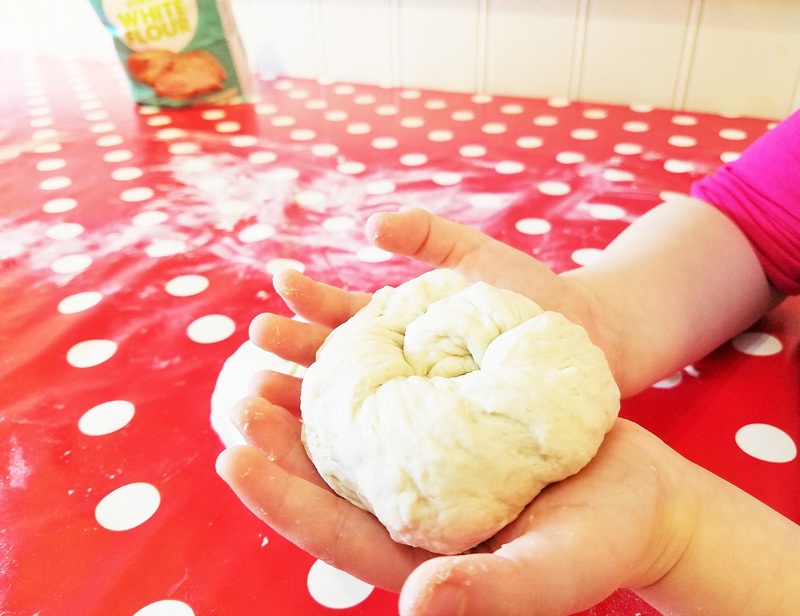 They will love creating fun shapes with the dough when it comes out, and the mess is quite minimal as there are no mixing bowls or sloppy mixtures involved. 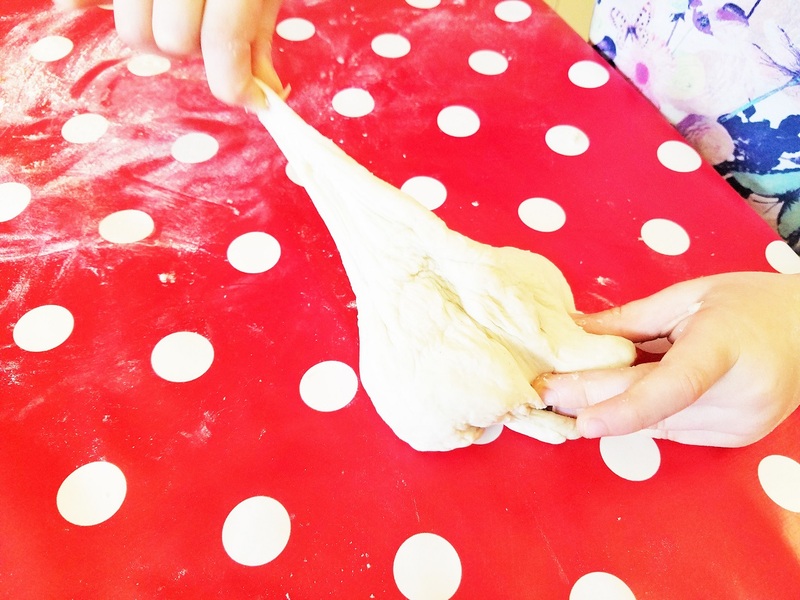 Bread dough is very versatile so get creative and shape it however you like! My advice is to make the shapes as big and bold as possible as they will lose a bit of form during the proving and baking stages. 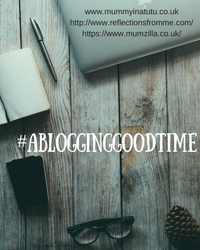 I have girls – plaiting is what they do! So as soon as the dough comes out of the bread maker, we are already allocating some of it to be a bread plait! 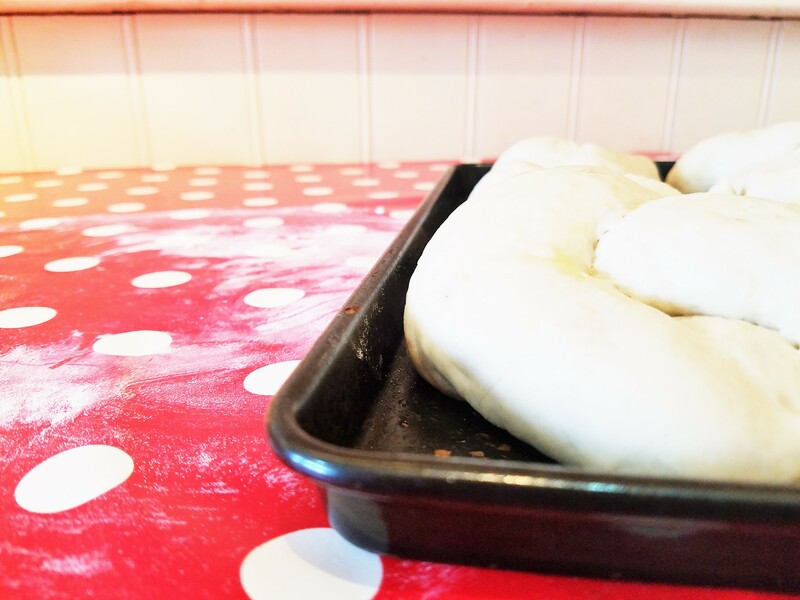 Divide the dough into three long strips, squash them together at one end, and then plait. 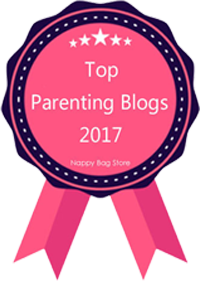 This is a good one for little ones. Simply roll the dough into a long sausage and then wind it up. The spiral can also double up as a snail’s shell. This one is a little more complicated but still totally do-able. 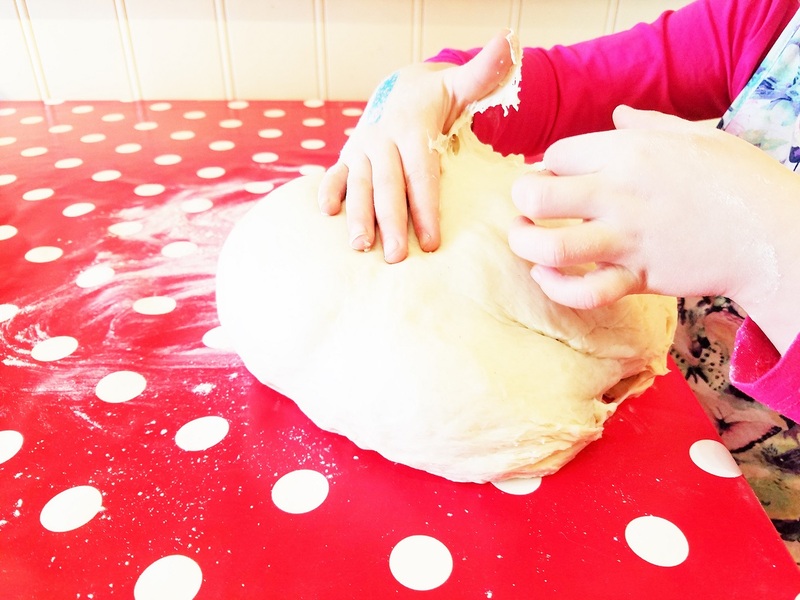 Shape the dough into an oval with a point at one end (the hedgehog’s nose). Then use some scissors to snip some spikes into the hedgehog’s back. The ring is another easy one. 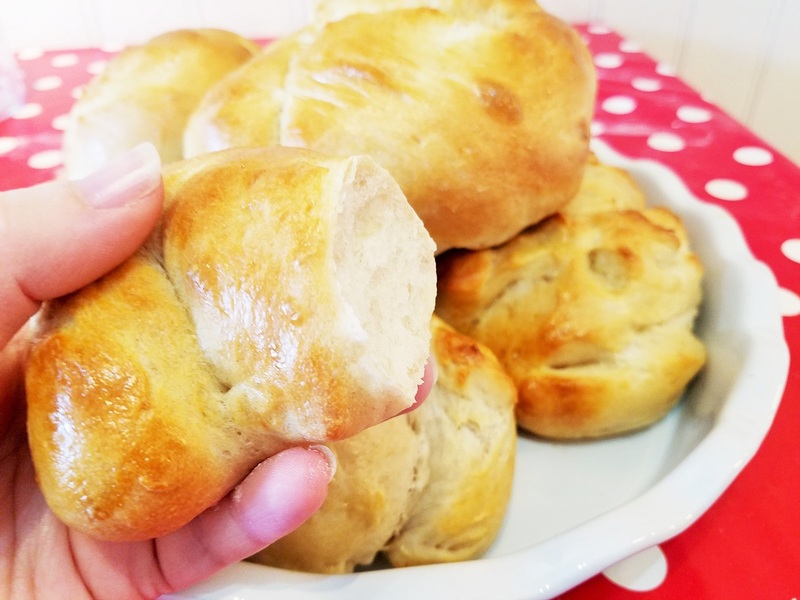 Roll the bread maker dough out into a long sausage shape and then bring the two ends together. You can also try some glasses with this technique! 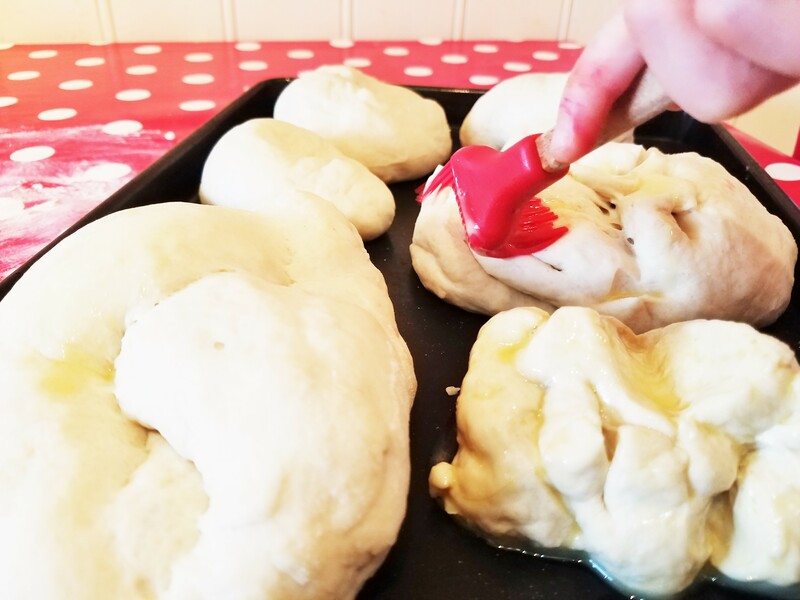 TOP TIP: If the dough isn’t sticking together to form the shape, trying dabbing some water on before squeezing the ends together. 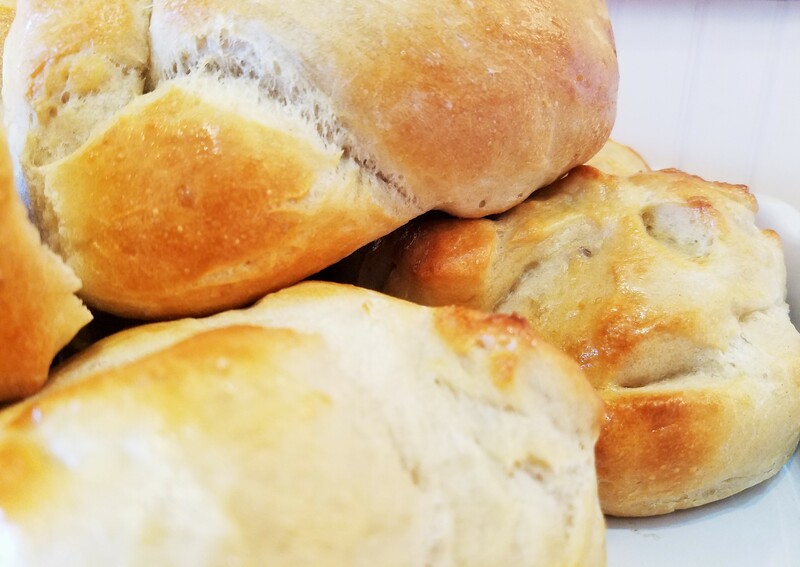 If you’ve never used a bread maker before, let me assure you it’s really easy to operate with preset programmes and a comprehensive cookbook to guide you through. We’ve had our Panasonic bread maker for almost 4 years now but they’ve just launched a new range with slick designs and a variety of different modes. We love trying out new recipes and, of course, we’ve got our reliable favourites too. 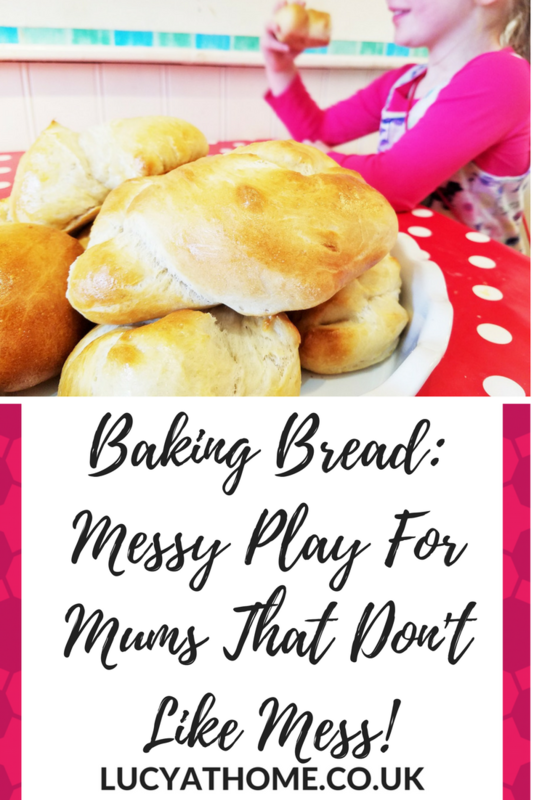 I am much more laid back when I use the bread maker with the kids – I don’t need to worry about them doing it wrong. I also don’t stress as much about “prettifying” the makes because they expand when during baking anyway, and creativity is the name of the game! Do you have a bread maker? What do you use it for? 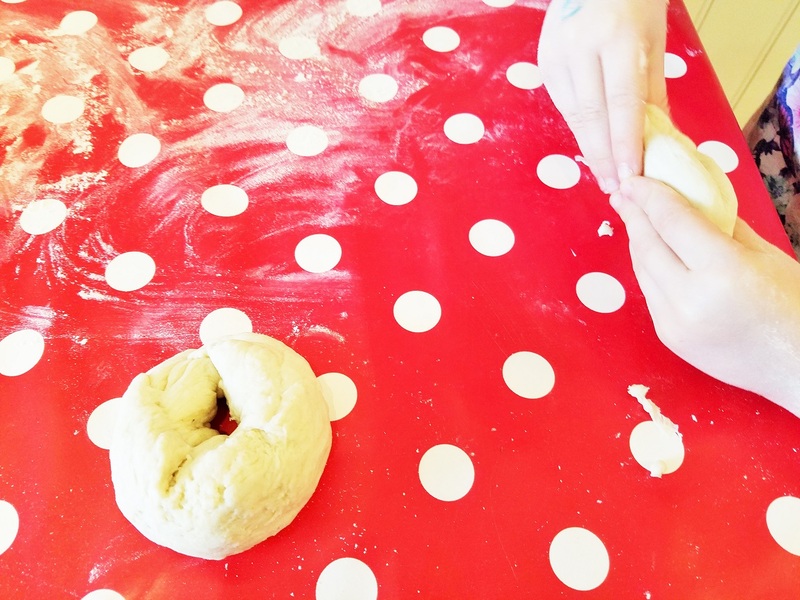 Do your kids enjoy baking? 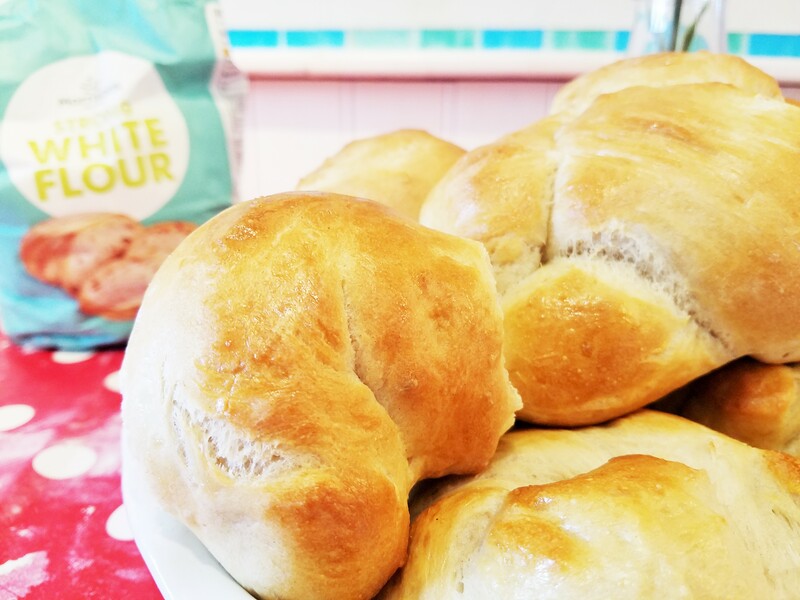 What are your favourite things to bake together? Disclosure: This post is sponsored by Panasonic. All opinions are my own. For more info, please check out my disclosure policy. 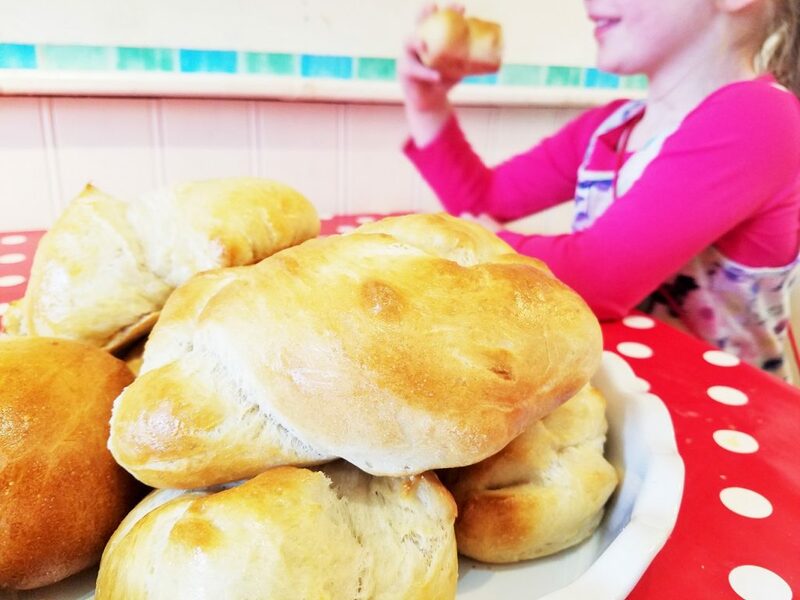 Making bread at your home is really so much fun ! !